Miami, Florida: Centra Tech, Inc., the developers behind one of the world’s first multi-blockchain digital asset/cryptocurrency Prepaid Cards, is excited to introduce the new and improved digital assets wallet: Centra Wallet 2.0. The upgrade to the Centra Wallet App includes core improvements to user experience, security, and overall functionality. International customers will soon be able to use their access codes to enable a fully functioning digital asset wallet with the capability to store and transact with major cryptocurrencies. The currently supported cryptocurrencies include: Bitcoin, Ethereum, Litecoin, Dash, Monero, Zcash, Ripple, and Centra. Centra Wallet 2.0 is available for download on iOS and Android. • Centra Virtual Cards, which will allow customers to utilize Centra Pay to use NFC at accepted retailers/points-of-sale to pay for goods directly from their Centra Wallet. • Adding an additional 4 digital assets by the end of the year. • Ability to instantly buy and sell supported digital assets within the Centra Wallet using a linked bank account (no more wait times). November kicks off a long list of future planned releases by Centra Tech, such as starting to ship the Centra international Prepaid Cards, the live alpha of Centra’s very own trading platform (Centra Network), the beta launch of Centra Market, and Centra Tokens being added to additional digital currency exchanges. Founded in 2016, Centra is a cryptocurrency payment and commerce platform allowing users to buy, exchange and spend cryptocurrencies in real-time. Customers can use Centra Cards virtually with the Centra Wallet® or a physical Centra Card anywhere a MasterCard® is accepted. 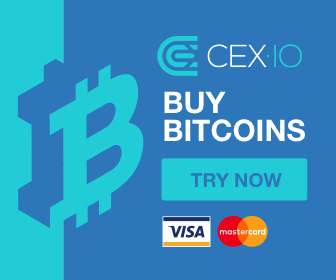 The Centra ecosystem also features Centra Market, a cryptocurrency commerce platform and Centra Network, a centralized and decentralized cryptocurrency exchange. Centra raised over US$40 million in a successful Token Sale. Centra Tech is headquartered in Miami, Florida.